Docker, CoreOS and others in the open container community have agreed to work together on fostering an open standard following months of fevered debate over where it would go next. The newly unveiled Open Container Project (OCP), which is backed and hosted by the Linux Foundation, brings together the big players of the container landscape and is looking to eventually create a unified standard that all containers can work with. "The OCP's mission is to enable users and companies to continue to innovate and develop container-based solutions, with confidence that their pre-existing development efforts will be protected and without industry fragmentation," according to an OCP press release. 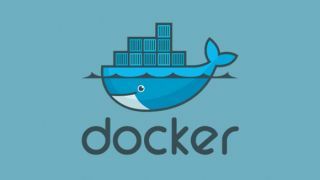 Docker is donating the code for its software container format and runtime, plus associated specifications, whereas the leadership of the Application Container spec (appc) initiative, including CoreOS, will bring technical leadership and support to OCP. OCP's image format will be completely backwards compatible with Docker's image format and appc with further efforts made to harmonise all efforts made by the container community. The OCP has set out three principles by which it will be held. This includes not being bound to high level constructs such as particular clients, not being tightly associated to any particular vendors or projects, and to be portable across a variety of operating systems, hardware, public clouds, and so on. Docker and CoreOS aren't the only firms to take part in the OCP. Microsoft, Amazon Web Services, Cisco IBM, HP, Google, Intel, Red Hat and VMware are among the others working towards a common standard that will define the future of the fast growing sector.